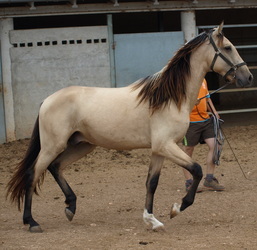 Meloso PM - Edoras P.R.E. 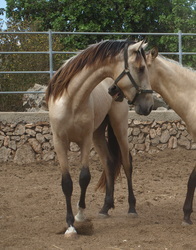 Born: 20-04-2009. 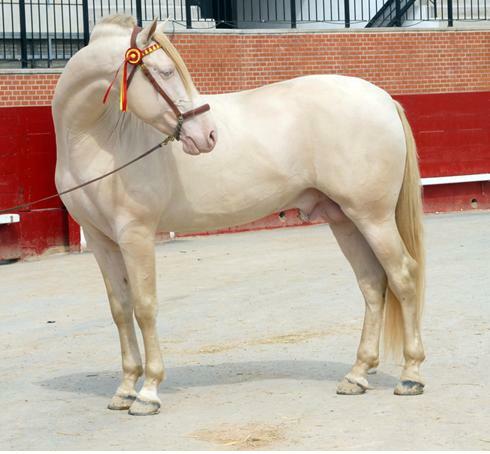 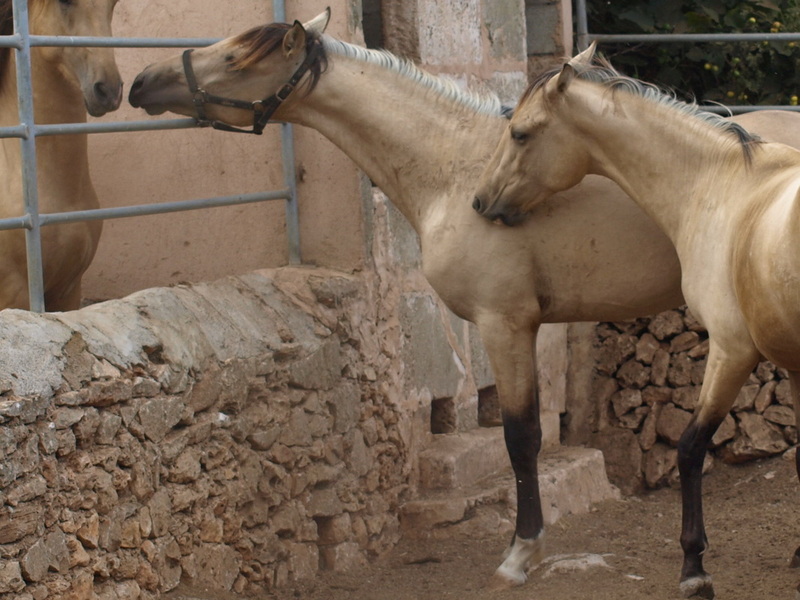 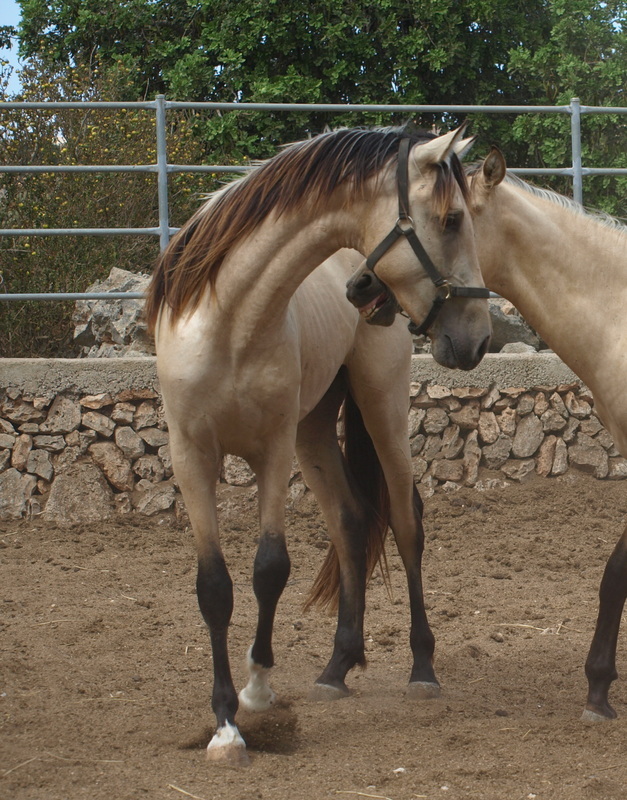 Meloso is born at the famous studfarm of Paco Marti; the pioneer in breeding special colored PRE-horses. 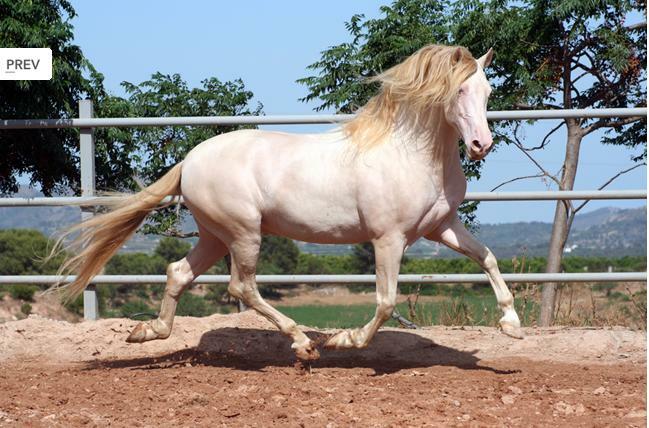 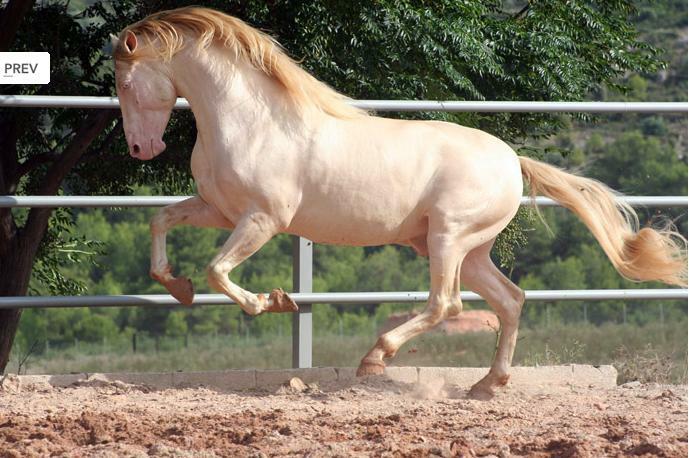 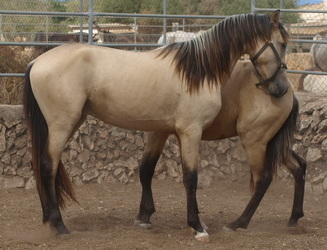 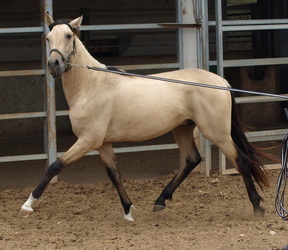 Description: Noble and beautiful colt. 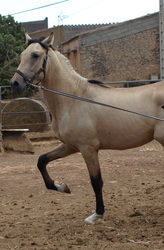 Lots of character, strong bones and conformation true to the breed. Good movements with lots of elevation. 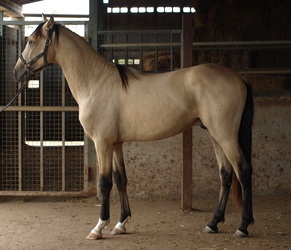 Expected height: more than 160 cm. Mother: Melosa XXII. 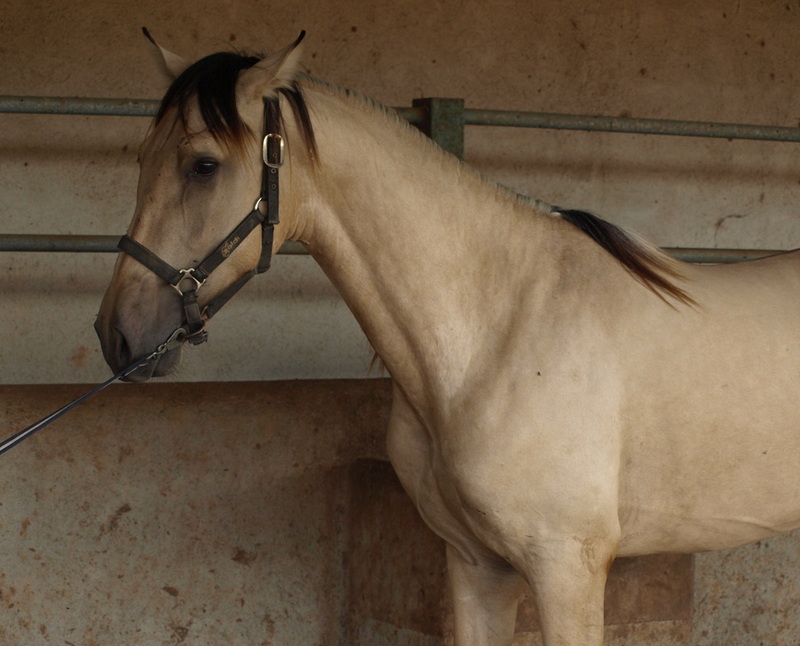 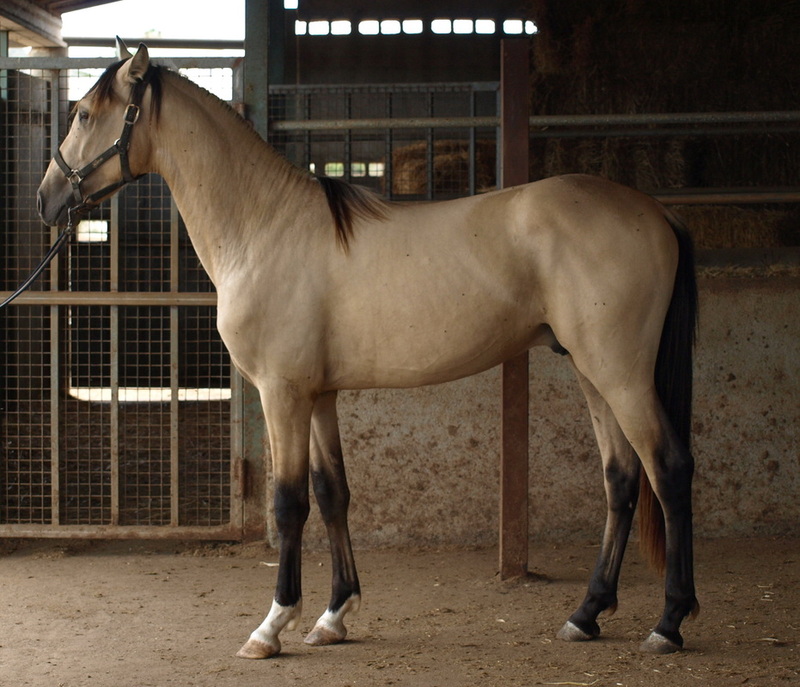 Brodmare from the studfarm of AGRICOLA PERALTA. 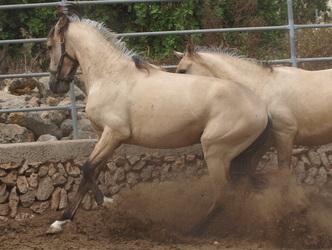 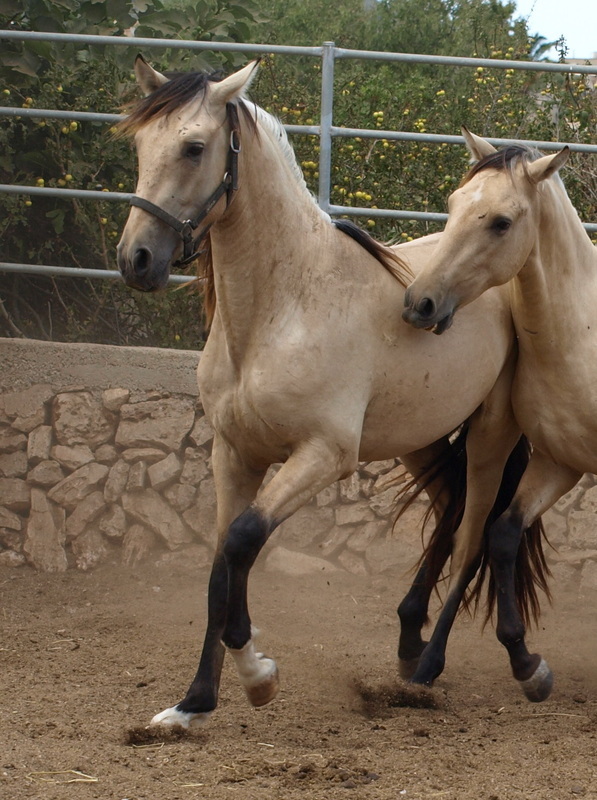 A well known studfarm which primarily have based their stock on horses from Yeguada Militar and pure catujano lines (Hierro Del Bocado, Urquijo, Roberto Osborne). 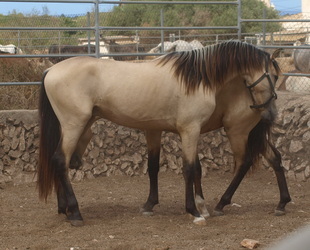 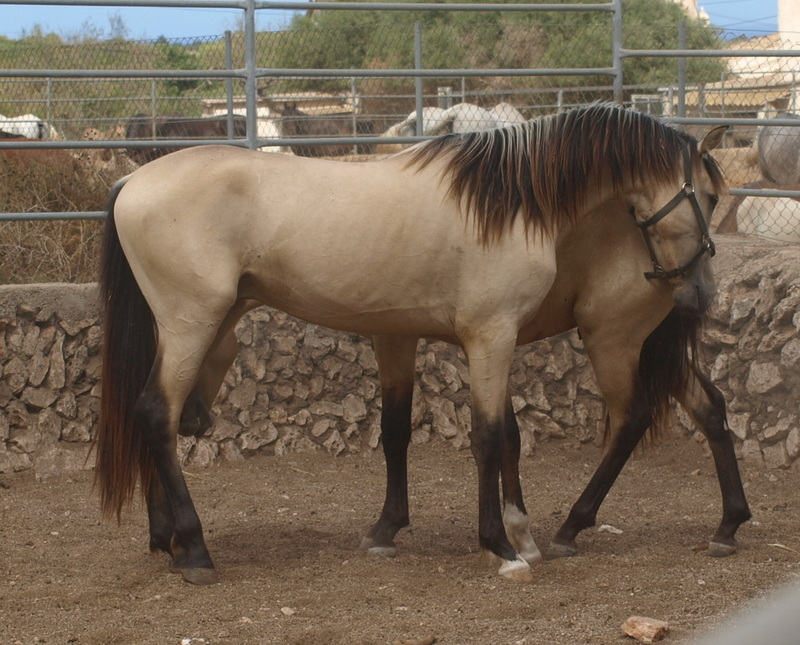 Father: Revoltoso XXIX of the studfarm of Paco Marti. 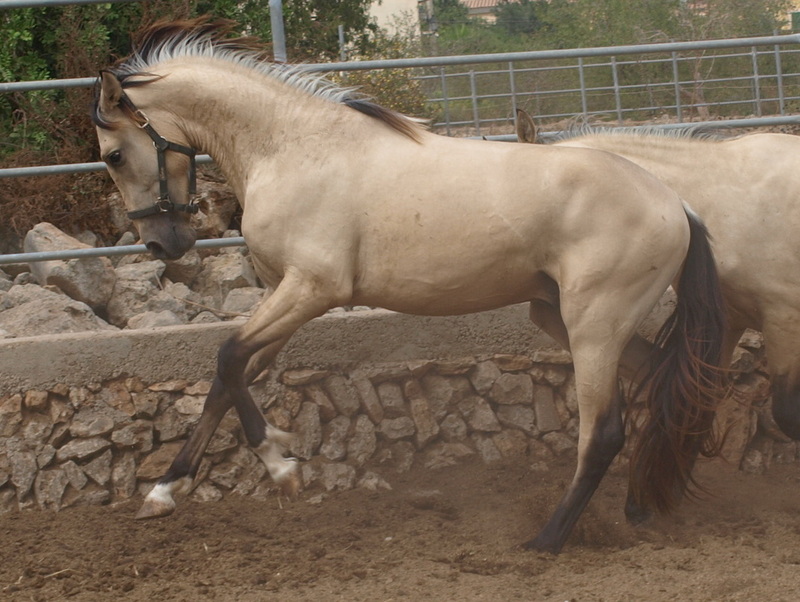 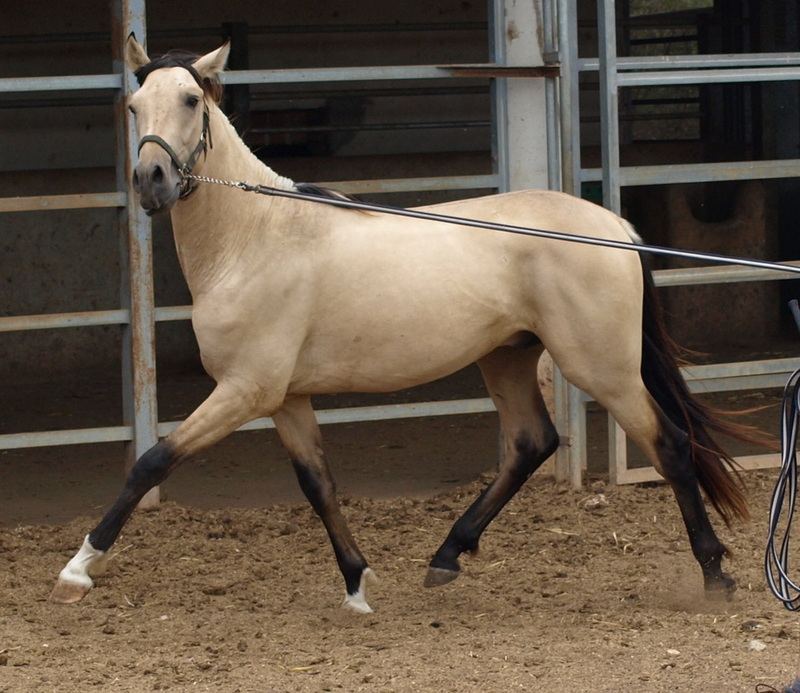 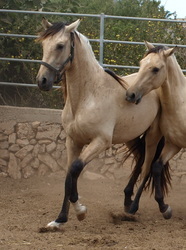 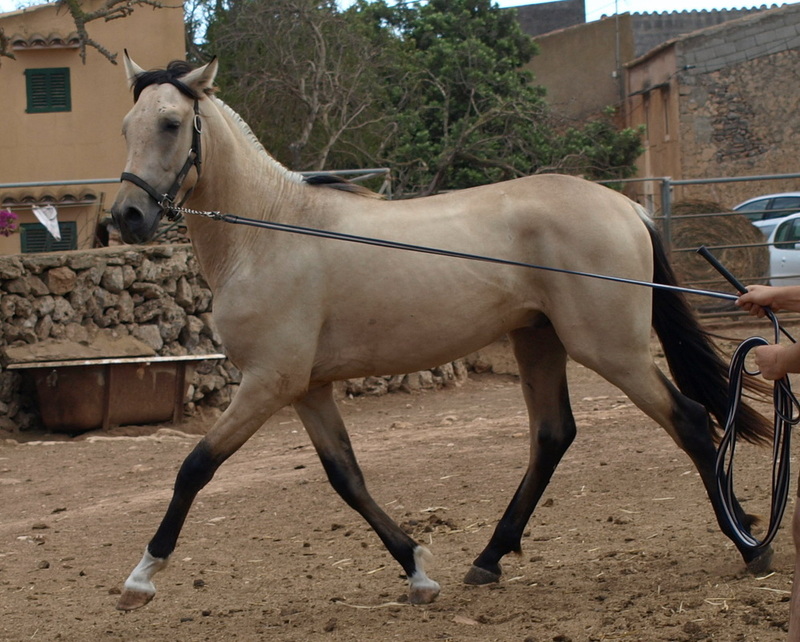 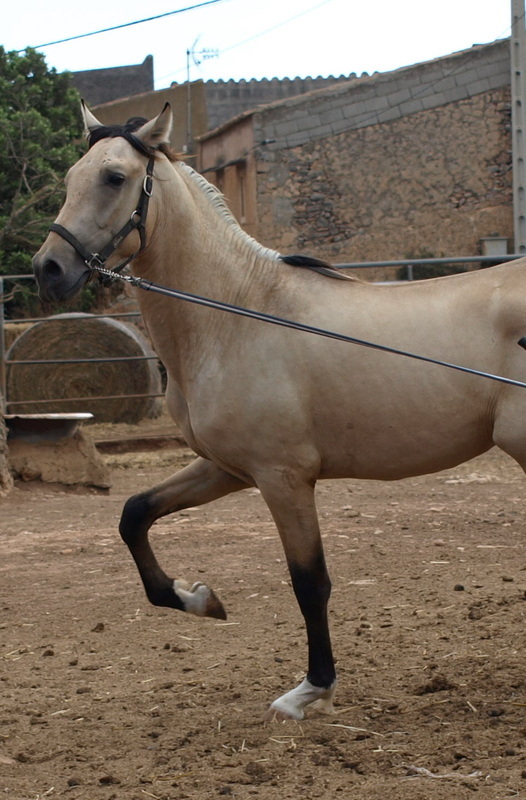 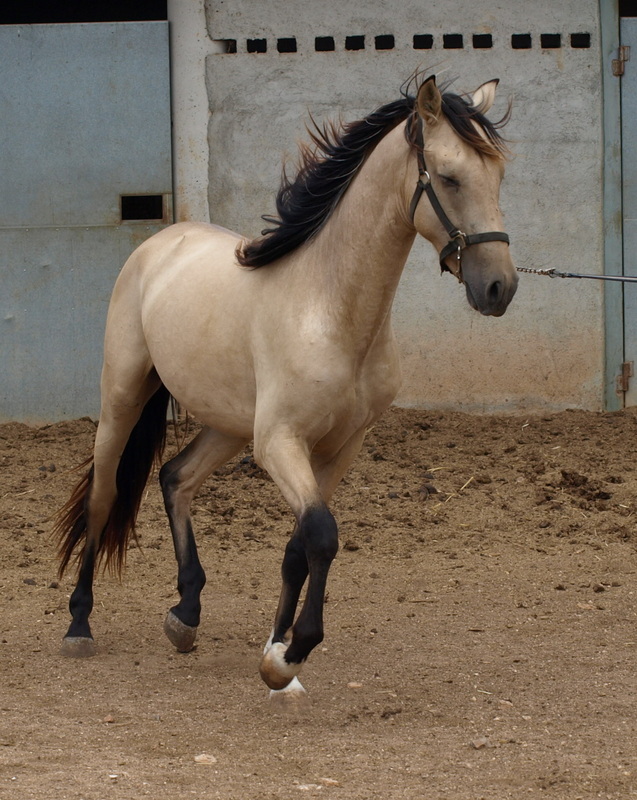 Outstanding stallion; the most famous and popular doblediluted perlino (es: perla) PRE-stallion to date. God bones, good height and movements, and conformation very true to the breed, all characteristics he normally transmit to his offspring.